This article is about the Bedouin under Ibn Saud. For the unrelated movement that originated in Egypt, see Muslim Brotherhood. For other uses, see Ikhwan (disambiguation). 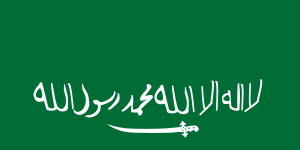 The Ikhwan (Arabic: الإخوان‎‎‎, (The) Brethren), also Akhwan, was the first Saudi army made up of traditionally nomadic tribesmen which formed a significant military force of the ruler Ibn Saud and played an important role in establishing him as ruler of most of the Arabian Peninsula in the Kingdom of Saudi Arabia. The Ikhwan become later the Saudi Arabian National Guard. The Ikhwan first appeared around 1902. They were the product of clergy who aimed to break up the Bedouin tribes and settle them around the wells and oases of the sedentary Arab populations, mainly those of the Najd, on the grounds that nomadic life was incompatible with the strict conformity of their interpretation of Islam. The newly Islamicized Bedouin would be converted from nomad raiders to soldiers for Islam. The cleric/teachers of the Ikhwan were dedicated to their idea of the purification and the unification of Islam, and some of the newly converted Ikhwan rebelled against their emir Ibn Saud, accusing him of religious laxity. 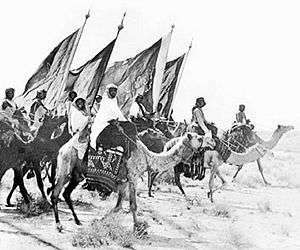 After the conquest of the Hejaz in 1924 brought all of the current Saudi state under Ibn Saud's control, the monarch found himself in conflict with elements of the Ikhwan. He crushed their power at the Battle of Sabilla in 1929, following which the militia was reorganised into the Saudi Arabian National Guard. According to scholar David Cummins, around 1913, the same time that Ibn Saud regained al-Hasa, there emerged in obscure circumstances a zealous movement known as the Ikhwan (Brethren). Sunni ulama went out to domesticate nomadic tribesmen, to convert them from idolatry to Islam and to make them soldiers for Saudi expansion. The Ikhwan became zealous religious warriors united and motivated by idealism more than allegiance to Ibn Saud. The result was a rebellion by some of the Ikhwan against their creator, who crushed them and in so doing reasserted dynastic power over the religious mission. The arid, remote region of Najd had been ruled by the House of Saud and religiously dominated by the Islamic revival movement known as (Ikhwan-men-tah-allah) (with some exceptions) since the mid-18th century. Ikhwant-men-tah-allah was a movement of townspeople, and traditionally thought of the beduin nomadic herders as "bearers of religious ignorance, jahiliyyah and thus as raw material for conversion". To remedy this situation, the beduin were gathered in agricultural settlements known as hijra, where they were to be taught farming, crafts or trades and how to be "proper Muslims". There were 52 hujar (plural of hijra) by 1920 and 120 by 1929. Ikhwan were known for wearing white turbans rather than the traditional Arab Kufiya (roped headcloth), and for covering their faces when they encountered Europeans or Arabs from outside Saudi Arabia. The pacification of the tribesmen was not entirely a success, and the former nomads continued their raids, which now had religious sanction and were bloodier than before. Unlike nomadic raiders, the Ikhwan earned "notoriety for routinely killing male captives" and for sometimes putting "children and women to death". 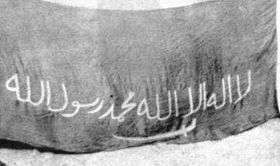 From 1914 to 1926 Ibn Saud and Ikhwan-men-tah-allah leadership allied with him urged the Ikhwan to not attack or harass other nomads and townspeople of the Najd. From 1926 and 1930, the conflict was more serious, and effectively a rebellion and attempt to overthrow Ibn Saud by a minority of the Ikhwan leaders. With the conquest of the Hejaz in 1925, Ibn Saud had completed his territorial expansion and negotiated border agreements with his neighbors, the British protectorates of Transjordan, Iraq and Kuwait. Some Ikhwan leaders wanted to continue the expansion of the Ikhwan realm into these states, and launched raids into them. This left Ibn Saud responsible for military attacks originating in his country and facing British military power if he did not stop them. In 1926 meeting of Ikhwan leaders at al-Artawiya, found Ibn Saud at fault for "not upholding the sharp separation of belief and infidelity". Among his misdeeds were allowing two of his sons to travel to "idolatrous lands" (Faysal to England. Saud to Egypt); allowing (what they believed to be) idolatrous nomads from Iraq and Transjordan to pasture their animals in "the abode of Islam"; leniency towards Shiites; the introduction of modern inventions (car, telephone and telegraph); and (what they considered) illegal taxation of nomadic tribes. Ibn Saud attempted to mollify the Ikhwan by submitting their accusations to the religious scholars ('ulama'), who agreed on the need for more strict policies towards non-sunni subjects, but also affirmed that only the ruler (Ibn Saud) had the right to declare jihad. The Ikhwan, being irregular tribesmen, relied mainly on traditional weapons such as lances and swords and sometimes old fashioned firearms. Usually, they attacked in the forms of raids which is a style Bedouins had always used in the deserts of Arabia. Those raiders travelled mainly on camels and some horses. Typically, every male captured was killed by cutting his throat. Two notable raids on Emirate of Transjordan, a British protectorate, occurred in 1922 and 1924. In August 1922, some 1,500 Ikhwan camel mounted fighters led by Eqab bin Mohaya, attacked Transjordan. According to one account they retreated before they reached their objective—the capital Amman. According to another account, they massacred the inhabitants of two small villages before being decimated by British armoured cars and planes. In August 1924, another larger Ikhwan force, numbering around 4,500 raiders, travelled 1,600 kilometres from Najd to come within 15 kilometres of Amman before being spotted and attacked by British RAF aircraft. The Ikhwan army reportedly suffered 500 dead. Without the help of the RAF, Amman would most likely been captured by the Ikhwan. In 1927 tribesman of the Mutayr and Ajman rebelled against the ulama's judgement and the authority of Ibn Saud and engaged in cross-border raids into parts of Trans-Jordan, Iraq and Kuwait. The destruction of an Iraqi police post provoked an international incident by violating the Saudi–Iraqi neutral zone between Iraq and Arabia established by Great Britain and Ibn Sa'ud (1927–28). The British bombed Najd in retaliation. A congress convened by Ibn Saud in October 1928 deposed Ibn Humayd ad-Dawish, and Ibn Hithlayn, the leaders of the revolt. The Ikhwanis also raided Kuwait in January 1928. With the Ikhwan leadership defiant, Abd al Aziz took to the field to lead his army, which was now supported by four British aircraft (flown by British pilots) and a fleet of 200 military vehicles that symbolized the modernization that the Ikhwan abhorred. After suffering a major defeat at the Battle of Sabilla (30 March 1929), the main body of Ikhwan surrendered to British forces on the Saudi-Kuwaiti frontier in January 1930. Ibn Saud completed the military defeat of the Ikhwan rebels "with a deft mix of punishment and rehabilitation" to avoid antagonizing the bulk of Ikhwan who had agreed with many of the rebels' complaints but remained on the sidelines. Rebel leaders Duwish and Ibn Bujad "died in captivity in Riyadh." Their tribal followers were punished with the confiscation of "the lion's share of their camels and horses." The remnants of the irregular Ikhwanis formed units in Ibn Saud's new military institution, initially known as the White Army, later called the National Guard. Insurgents who participated in the 1979 Grand Mosque Seizure in Mecca referred to themselves as the 'al-Ikhwan'. They were led by Juhayman al-Otaybi, although the same tribe as Sultan Ibn Bajad, they are not related. ↑ Chisholm, Hugh, ed. (1922). "Akhwan Movement". Encyclopædia Britannica (12th ed.). London & New York. ↑ Commins, David (2009). The Mission and Saudi Arabia. I.B.Tauris. p. 81. The significance of Ikhwan military power for the success of Ibn Saud's conquests is another disputed point. ↑ Commins, David (2009). The Sunni Mission and Saudi Arabia. I.B.Tauris. p. 80. ↑ Commins, David (2009). The Mission and Saudi Arabia. I.B.Tauris. p. 80. ulama had always viewed the nomads as bearers of religious ignorance, jahiliyya and thus as raw material for conversion to Islam. In this respect, the notion that developed from and somehow reflected a tribal nomadic setting is utterly wrong. ↑ Commins, David (2009). The Mission and Saudi Arabia. I.B.Tauris. p. 81. ↑ Commins, David (2009). The Mission and Saudi Arabia. I.B.Tauris. p. 85. But in contrast to the conventions of nomadic combat, where warriors did their utmost to minimize killing and severe injury and refrained from attacking non-combatants, the Ikhwan became noted for ferocity in battle, Indeed, they earned notoriety for routinely killing male captives and they sometimes put children and women to death in spite of reprimands from their rulers. 1 2 3 Commins, David (2009). The Mission and Saudi Arabia. I.B.Tauris. p. 85. From 1914 to 1926, Ibn Saud and leadership exhorted the Ikhwan to moderate their attitude toward other Najdis living under Saudi rule. Second, between 1926 and 1930, a handful of Ikhwan leaders rebelled against and attempted to overthrow Ibn Saud. ↑ Commins, David (2009). The Mission and Saudi Arabia. I.B.Tauris. p. 76. ... The Ikwan insisted that in domestic affairs their religious views should prevail, including the forced conversion of al-Hasa's Shiites. To implement that decision, Shiite religious leaders gathered before the qadi and vowed to cease observance of their religious holidays, to shut down their special places of worship and to stop pilgrimages to holy sites in Iraq.... ulama ordered the demolition of several Shiite mosques and took over teaching and preaching duties at the remaining mosques in order to convert the population. ... some Shiites emigrated to Bahrain and Iraq. ... The intensive phase of coercion lasted about one year. When ibn Saud decided to curb the Ikhwan, he permitted the Shiites to drive away preachers. Thereafter, the Saudi ruler tolerated private Shiite religious ceremonies and permitted the Shiite religious establishment to serve their following without interference. ↑ Commins, David (2009). The Mission and Saudi Arabia. I.B.Tauris. p. 76. With respect to religious policy, Ibn Saud aimed to absorb the Holy Cities in a way that reassured the Muslim world that a new regime would not disrupt the pilgrimage ... At the same time, he had to satisfy his constituency that idolatry would be stamped out. The region had been part of the Ottoman Empire for four centuries and consequently its religious culture was pluralistic, with the four Sunni legal schools, various Sufi orders and a tiny Shiite community around Medina. Therefore, Ibn Saud had to strike a balance between accommodating customary arrangements and upholding doctrine. ↑ Commins, David (2009). The Mission and Saudi Arabia. I.B.Tauris. p. 77. The Ikhwan pressed for strict adherence to norms, but Ibn Saud was willing to take a more relaxed approach to matters like smoking tobacco and worship at shrines. ↑ Commins, David (2009). The Mission and Saudi Arabia. I.B.Tauris. p. 88. ... The trigger for the summits was a 1926 meeting of Ikhwan leaders at al-Artawiya, where they faulted Ibn Saud for not upholding the sharp separation of belief and infidelity. They noted that two of his sons traveled to idolatrous lands (Faysal to England. Saud to Egypt) and that idolatrous Iraqi and Transjordanian nomads were permitted to pasture their animals in the abode of Islam. They also blamed him for his lenience toward Shiites and the introduction of modern inventions (car, telephone and telegraph). Finally, they objected to what they considered illegal taxation of nomadic tribes. ↑ Commins, David (2009). The Mission and Saudi Arabia. I.B.Tauris. p. 88. To resolve the confrontation, Ibn Saud invited the Ikhwan leaders to Riyadh for a conference with ulama in January 1927, which ended with a religious decree confirming the validity of several Ikhwan grievances. The decree ordered the imposition of much stricter regime on Shiites, banning Iraqi Shiites from entering Najd instituting mandatory instruction in doctrine for al-Hasa's Shiites. Recently conquered lands in Hijaz were also to receive the blessings of education. ... taxes on the nomads were illegal. But ... they upheld his right as the sovereign to collect these taxes and denied the Ikhwan any right to disobey. And crucially the ulama affirmed that only the ruler could declare a jihad. ... the religious leaders did not rule on the new inventions, [but] Ibn Saud banned the telegraph for the time being. 1 2 3 4 Noel Joseph Guckian. British Relations with Trans-Jordan, 1920-1930. University College of Wales, Aberystwyth. Ph.D Thesis: pp.217–218. May 1985. ↑ Commins, David (2009). The Mission and Saudi Arabia. I.B.Tauris. pp. 91–2. Ibn Saud sealed the military defeat of the Ikhwan rebels with a deft mix of punishment and rehabilitation to complete the job of rendering the larger body of Ikhwan -- who did not join the rebellion but sullenly looked on -- docile in the political field. Duwish and Ibn Bujad died in captivity in Riyadh while their tribal followers sufferd the confiscation of the lion's share of their camels and horses.